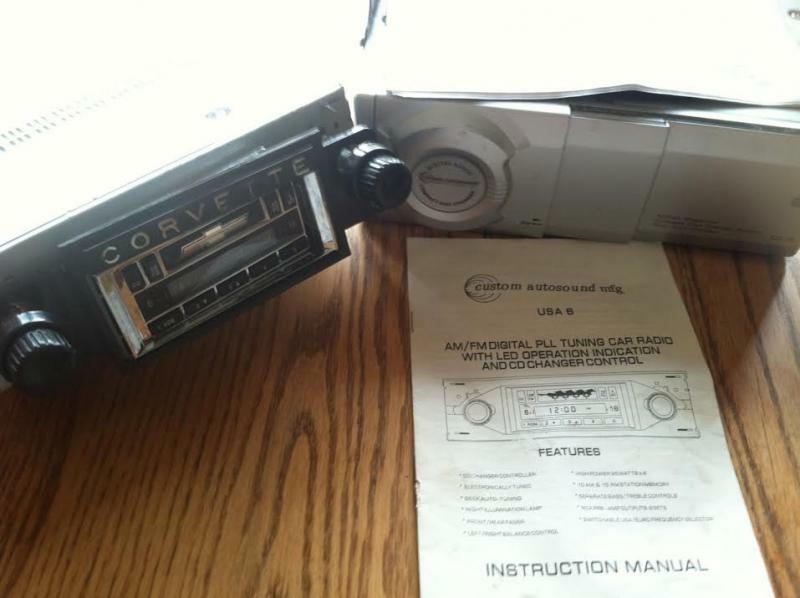 I am looking for a newer aftermarket AM/FM radio stereo unit to install in my driver quality ’71 Vette. What I have now is a circa 1980’s aftermarket radio that no longer works. 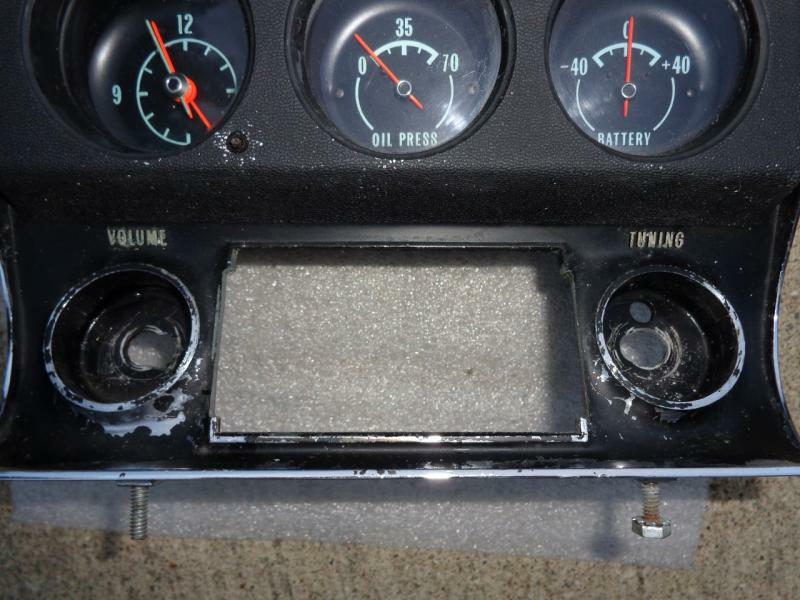 I am not considering the stock radios at this time due to the fact that one of the prior owners enlarged the radio opening in the dash a quarter of an inch on each side to fit the existing aftermarket unit. Buying a pricy original stock radio and a replacement radio bezel is not in my Corvette budget for this year. I’m not picky as to whether it has a cassette or CD player as I’m only going to be using the AM and FM radio features. What I’m most interested in is that the unit will look decent after it is installed in the dash. What I don’t want it for it to look like what I have now in that it has a misfitted face plate that really detracts from the interior’s appearance. See the attached pic to judge for yourself. If you have what I'm looking for let me know. Why don't you look into the Retro Sound units? They are a Supporting Vendor here, and they have some units for around 200 bones I think. Thanks Chinaski. I think that is a good piece of advice. The Retro Sound radios look like a good value. I'm wondering if they have face plates available that will cover up the enlarged hole in my radio bezel. I have an after market radio that I took out of my 70. It is from Custom Autosound and also has a CD disc auto changer. It worked when I took it out about 2 years ago. It isn't doing me any good, so make me an offer (cheap) if you are interested. It was made for an original bezel that hasn't been modified, but I am almost certain you could take some plexiglass and paint it black and make it to fit behind to cover up the modification. I am going on vacation starting today until about 7/9/14 so let me know if you are interested. Pics have been attached. I took my gauge cluster out the other day and I'd like nothing more than to permanently rip out that ugly and ill fitting radio (shown in the picture in the first posting in this thread) before I put everything back together. If anyone has a reasonably priced used radio that you want to sell, I'm your guy! I'd remove your current radio and see how bad the bezel is, or if it's in good shape. Last edited by 72C3Vette; 08-21-2014 at 02:33 PM. 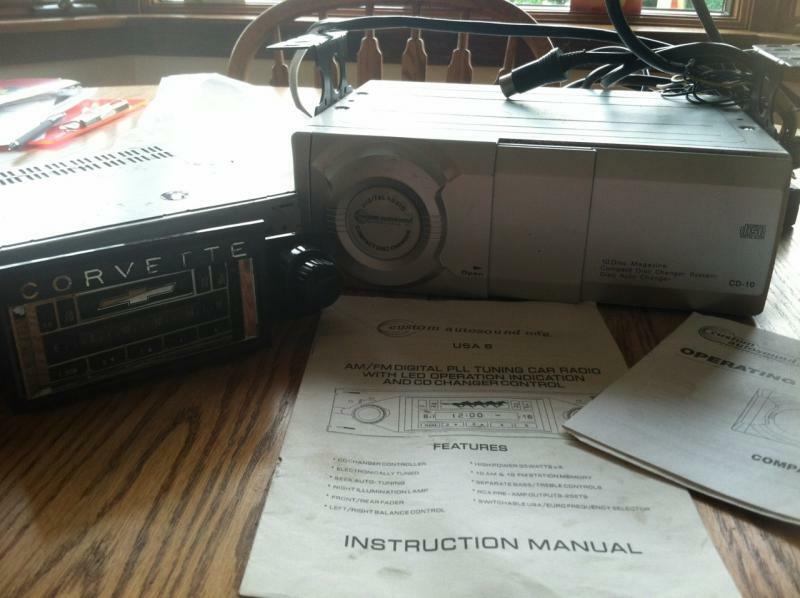 Ever think about going with a direct replacement aftermarket radio? autosound, retrosound? New one's sell for about $150 with stereo I believe... I haven't taken the plunge yet on doing that but route i was thinking I may go. Thanks for the suggestion. I agree that there are some reasonably priced new stereos available. I just did a search and found a Retrosound RC-900C for $160 with free shipping. I think that this is going to be what I'll end up with if someone does not come forward with a decent used radio.